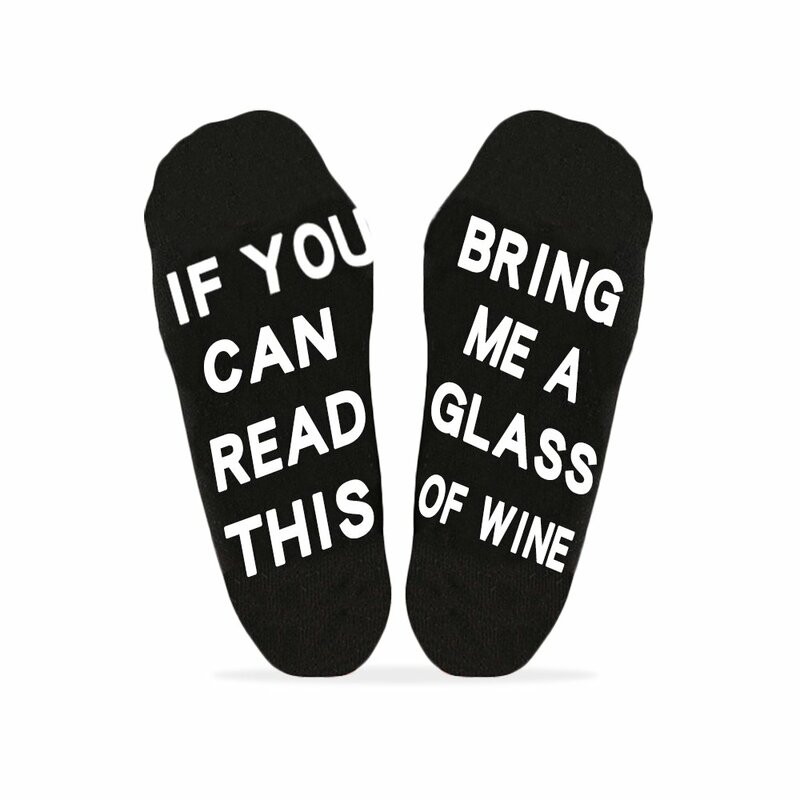 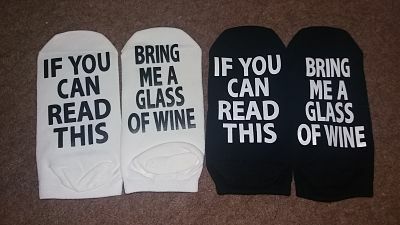 These socks are my favourite but I have come to the conclusion , nobody can actually read in my house as no comes and brings me a glass of wine ! 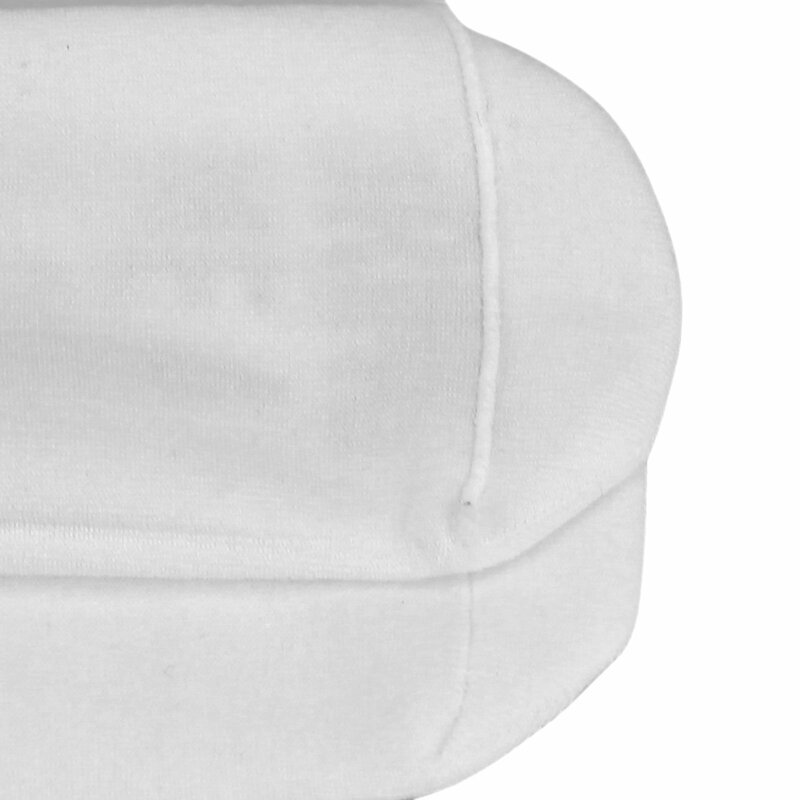 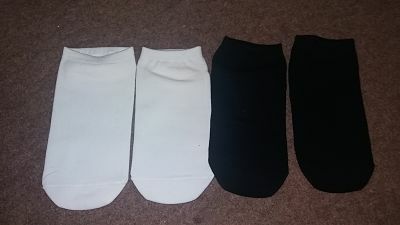 I bought them for a joke but they are actually really comfortable and made from 100% cotton making them breathable and durable . 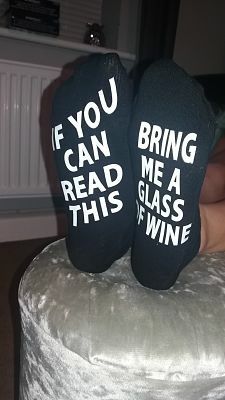 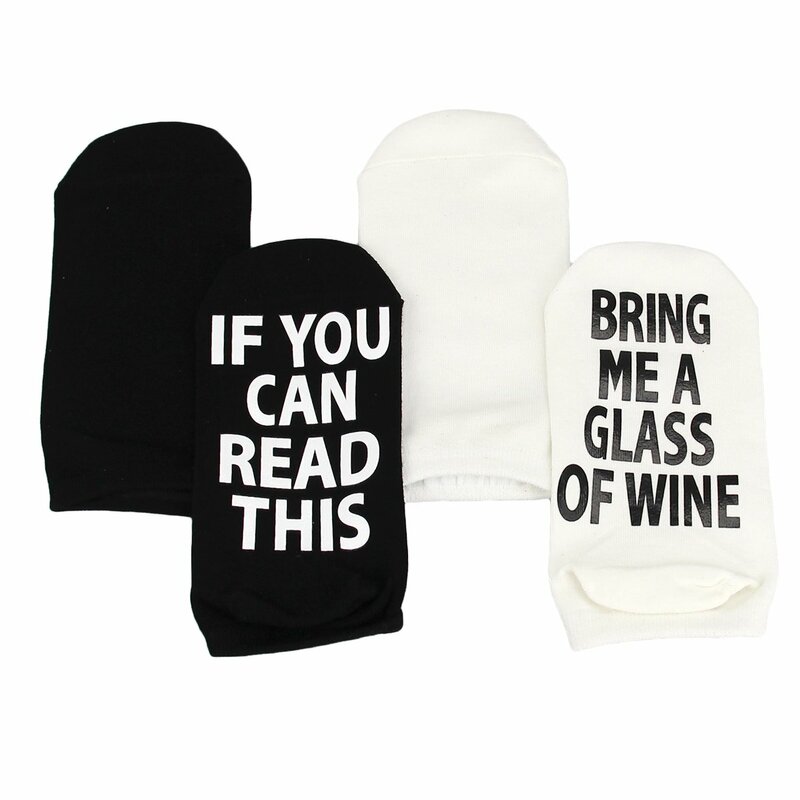 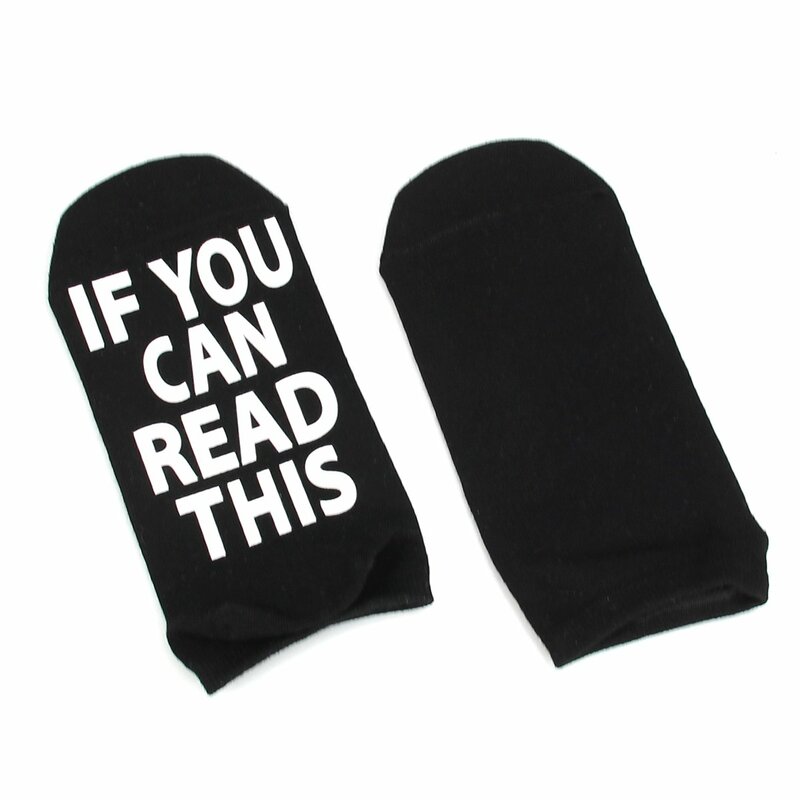 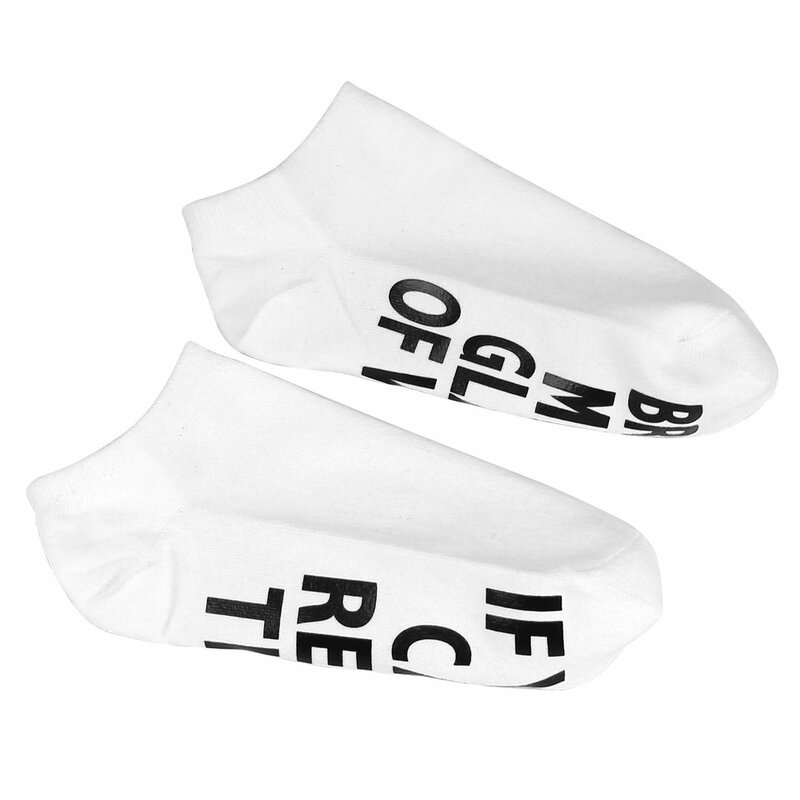 The print on the bottom is hard wearing and won't rub off and one sock reads , if you can read this , with the other sock reading bring me a glass of wine . 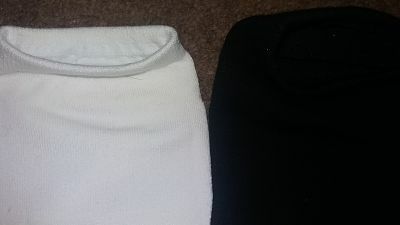 There are two pairs in the pack making them great value for money , one is black and the other is white .